At the time of the Mowbray’s they kept the lands round Belton for their own demesne (land for his own use), and they seem to have been enclosed as a park and called the Belgraves with a large house or lodge on it. In the Doomsday book Geoffrey de Wirce is stated as having the manor, with Ulf and Alnod having five carucates of land to be taxed and land to five ploughs, Geoffrey had one plough and seventeen sokemen with twenty villanes and six bordars having four ploughs and six oxen, there were eleven fisheries of seven shillings. There was stated as being various woods and pastures, two miles long and two miles broad. In Beltoft Gilbert de Gand claimed half a carucate of land which belonged to Ulfenisc and a further four carucates of land and six oxgangs which belonged to Geoffrey de Wirce. It can be seen that the parish of Belton has always been extensively farmed. The name itself seems partly derived from the Druid “Bel”, which the shortened form Belinus, which was a name under which the druids worshiped the sun, as the giver of fertility to the soil and the Anglo Saxon “ton” meaning settlement, also the name is said to have connections with the worship of the son god Bel, as in Beltane. 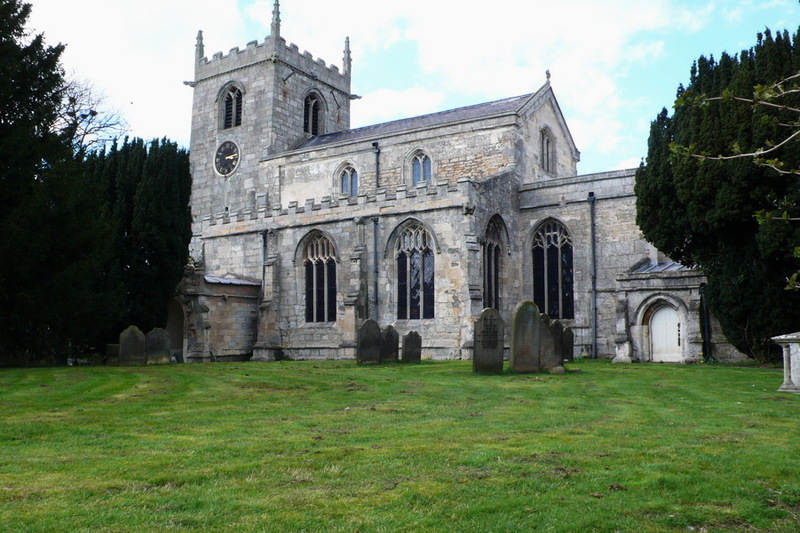 The parish of Belton, along with others in the Isle was given, by Roger de Mowbray to the Abbey of Newburgh in 11​45, it was then transferred to the Priory of Alta Prisa (Haltemprise), which was founded at Cottingham in or about 1324, Roger de Mowbray gave the 'cowpasture' at Belwode to the Preceptory of Knight Templa​rs, as a base, after the dissolution Henry VIII (1509 — 1547) sold the rectory of the parish, along with othe​rs to the City of Lincoln There were several charities for the poor of the parish dating from 1677, the churc​hwardens used to issue the charities, from rent charges on Good Friday. At the turn of the century these charities were still being issued, in 1897 Lightfoots charity awarded tickets for clothing and flour, to the value of 2s 6d, 84 poor people of the parish received tickets. On St Thomas Day (21st December), the annual fair was held, there was also a fair on the 25th September, when flax, the main product offered for sale. 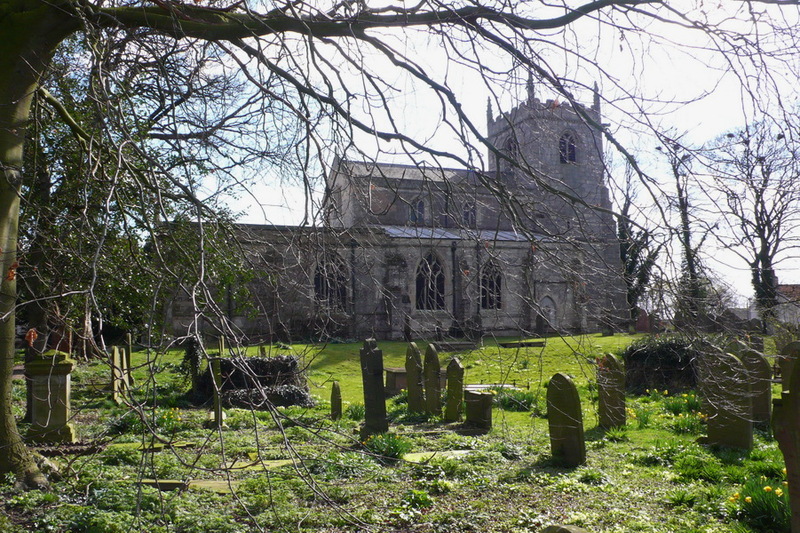 The church is probably of 13thC origin and is dedicated to All Saints, in the church there is the 14thC tomb of Richard of Belwood, one of eleven freeholders mentioned in Mowbrays deed. The body of Sir John Ferné the l7thC antiquary is also buried here. Doomsday gives the manor as belonging to Geoffrey de Wirce. It was enclosed as a park by the Mowbray family who had a lodge 'Belgrave' on it. In 1145 the manor along with that of Haxey, Owston and Epworth belonged to the Abbey of Newburgh and went to the Priory of Alta-Prisa (Haltemprice), in 1324 together with land at Beltoft. Henry VII sold it to the Corporation of Lincoln. The church of All Saints contains the altar tomb of Richard of Belwood. Re-interred in it, in the sixteenth century, was Thomas Vavasor, famous for his cause against the participants of the Isle Drainage Scheme. 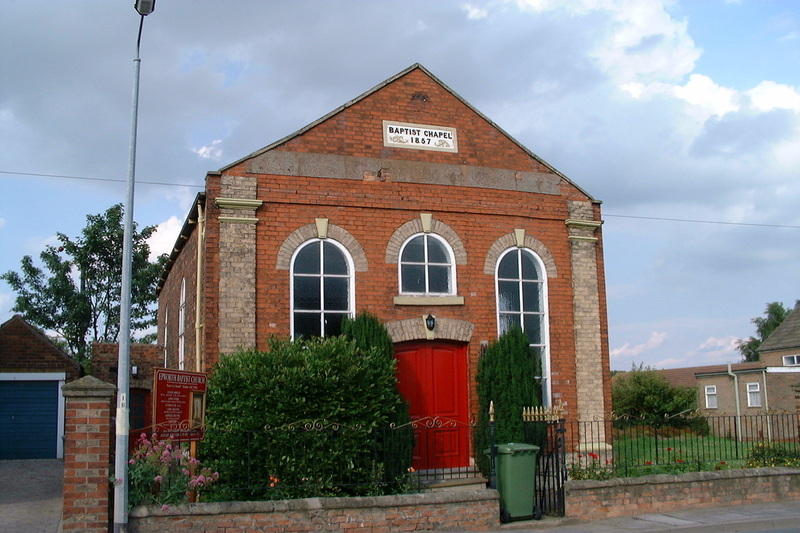 The village hall was built in 1883, the foundation stone for the Memorial chapel was laid in June 1878, the Wesleyan schoolroom was built 1888, the old school was erected in 1871. The Cooper Collinson ball opened in 1968, the playing field opened 1971, the cemetery opened 6th April 1900 and the War Memorial erected 1920, In an Epworth Bells from 1901 it is reported that…” Belton‘s pavements were widened so two people could walk side by side. In about 1842 a gypsum quarry was opened by Rev Thos Skipworth on his estate for manufacture of plaster for floors and ceilings etc, also to make lime for manure.Belton Mill was built c1825 (by the Hewson Family) who bought it from the Coggan family of Butterwick, it was reduced from four sails to two in 1923-24 and a Crossley gas engine was installed, the mill stopped working in the late 1950's and is now part of a private house. Years ago Temple Belwood was a fine building but went into decline after the Second World War and was finally demolished to make way for the M180. 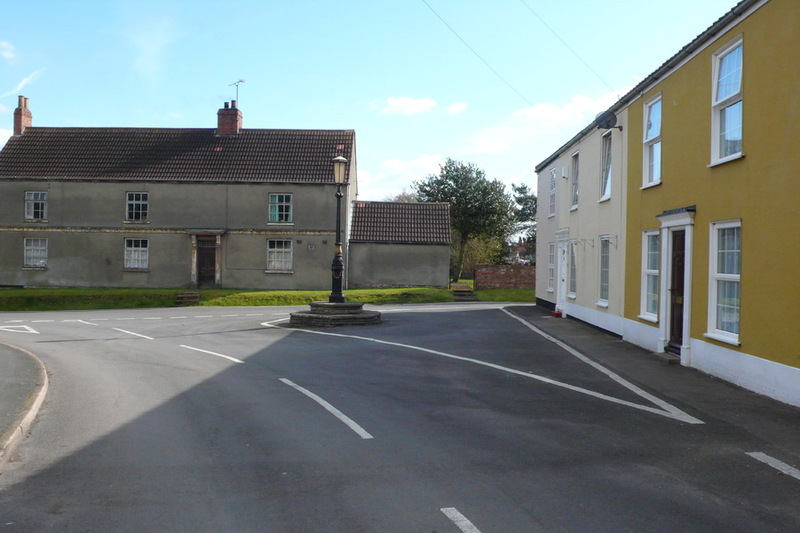 Sandtoft a hamlet in Belton parish lies 1 mile N of Epworth and 3 miles NW of Belton. The name is probably old Scandinavian in origin ,"sandtofte, a hamlet on sandy land". Sandtoft used to be part of the Hatfield Chase a low-lying area in South Yorkshire, which often flooded and is chiefly known from the Battle of Hatfiled Chase in 633. It was a Royal hunting ground until Charles 1 appointed the Dutch engineer Cornelius Vermuyden to drain it . 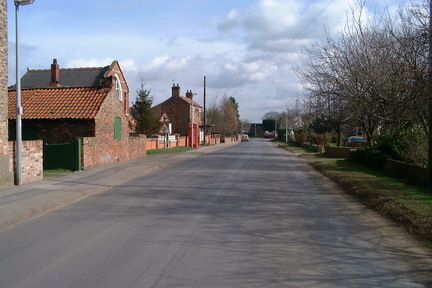 This changed the whole nature of a wide swathe of land including the Isle of Axholme and caused legal disputes for the rest of the century. The newly-drained land was to be divided into three parts, Vermuyden was to receive one-third, the Crown one-third, and the remaining third was to be divided among existing tenants who claimed right of Common over the Chase.. The drainage of Hatfield Chase commenced in 1626, two years later 80 Huguenot families from Walloon Flanders, fleeing persecution, settled in the area. In 1635 there was another large influx of Huguenots, mostly artisans and farmers from Normandy and the Walloon country. A chapel was erected at Sandtoft for their use, and here the public service was read alternately in Dutch and French. The locals were hostile to the drainage of the Level, believing that the participants (as the partners in the drainage undertaking were here known) were robbing them of their rights of common established by John de Mowbray , an ancient Lord of Axholme, in the reign of Edward III. In the years 1628 to 1631 there were fourteen outbursts of violence. This was followed by some years of comparative peace, but the beginning of the Civil War in 1642 saw the start of a period of greater lawlessness . In December 1645 the Sheriff of Lincolnshire was instructed to suppress the riots, making use of train-bands (a band or company of an organized military force instituted by James 1 and dissolved by Charles II ) and any parliamentary forces which might be there, to protect the participants and repair the damaged drainage. The locals took their case to law, but when the Court of Exchequer ruled against them in 1650, a great riot broke out the Chapel at Sandtoft was defaced, the village which had grown up round it demolished, the floodgates opened, and the River Trent allowed to overflow the Level once more. The local's mistreatment of the Huguenots had always encouraged a small number to leave for more friendly surroundings the riots of 1650 turned a trickle to a flood. Many found their way to the Huguenot settlement at Whittlesey, and Thorney in Cambridgeshire where the French Church assembled in 1652. In 1656, a group of Sandtoft Huguenots petitioned Oliver Cromwell for relief from their persecution: judgement was given in their favour, but little practical effect was felt. Litigation, and frequent riots, continued until 1719, when the locals case was finally dismissed in the Court of Chancery. The Domesday Book states "In Beltoft Gilbert de Gand claimed half a carucate of land which belonged to Ulfenisc and a further four carucates of land and six oxgangs which belonged to Geoffrey de Wirce. Beltoft is also mentioned in 1300 as belonging to Roger de Beltoft. The Sheffield family had a residence there and the well known family of the Collinsons included John, the J.P., and William, who was a Captain in the East India Company, lived there. After World War 2 the airfield was placed on care and maintenance and remained inactive until allocated to the United States Air Force on 1 April 1953. The station was never occupied by the USAF and returned to Ministry of Defence control on the 8th September 1955 for disposal. Today many of the original buildings still exist. 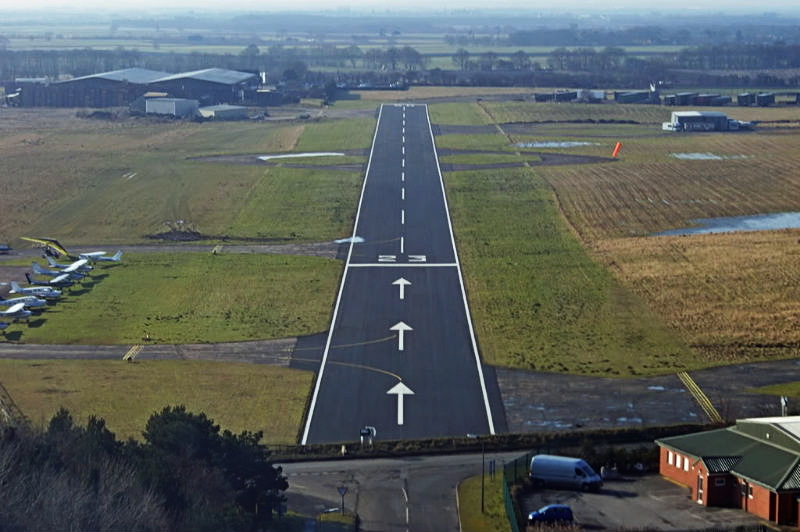 However, much of the old RAF Station has been converted to commercial use and a section of perimeter track is maintained and used by a flying club. 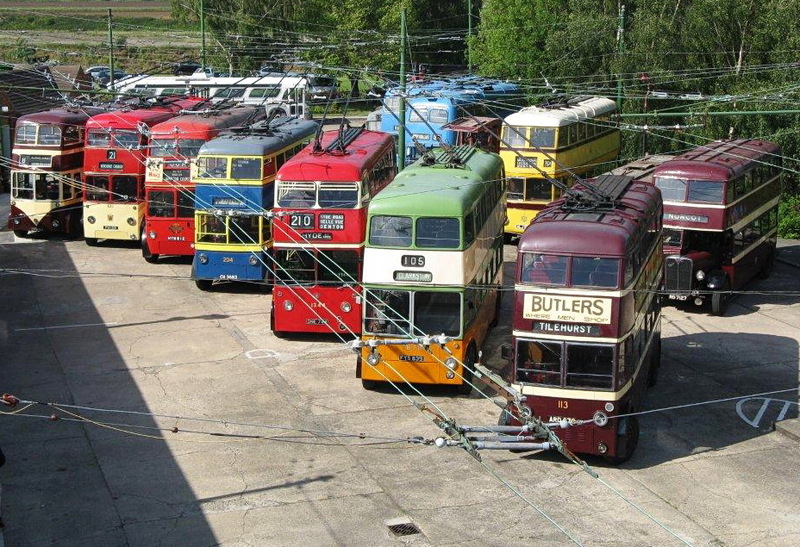 Sandtoft is home to Britains largest collection of working trolley buses at The Trolley Bus Museum. It is situated in open countryside some 15 miles North East of Doncaster . Buses can be viewed undergoing restoration and adaptaion to operate on Sandtoft's own internal network of electrified trolley wires. 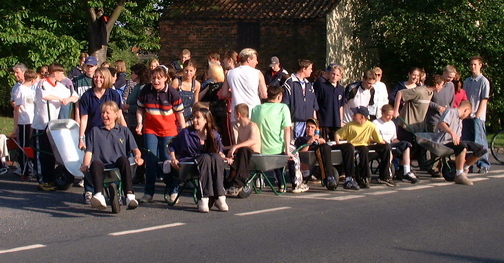 Various events are organised throughout the year. Open days are held annually when visitors can enjoy rides on the trolleybuses and motor buses. 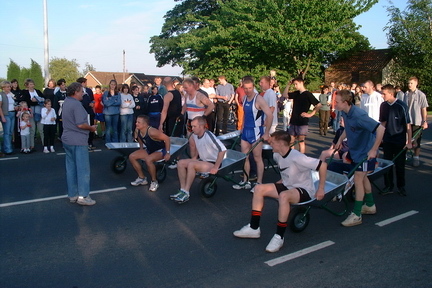 A modern tradition is the Barrow Race, established around 1950 after a wager that it was possible to push a wheelbarrow containing a man over a course of three miles in a specified time, and also to drink a pint of beer at the five pubs passed on the route. In the early years the Bridge Inn, where the bet was made, became the recognised finishing post, and held a winner's celebration. The pub closed in 1967 and the race organisers had to select an alternative venue. Later, interest in the race declined but recent years have seen a marked revival.